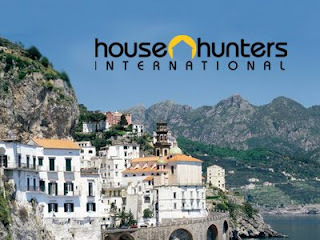 We recently received an e-mail from the folks at Leopard Films, the people behind the worldly renown TV show House Hunters International www.hgtv.com/house-hunters-international/show/index.html (shown in over 40 country - but apparently not in Portugal), asking if we knew of any Canadian, American, British, etc. expats who had recently bought a home in Portugal and are living here on a full-time basis that they could profile on their show. Our answer was no ... we don't anyone who fits the bill, however we thought it would be nice to help out the folks at Leopard films and spread the word on their search. So if the above description is you or someone you know, you can reach Soraya Spiers at Leopard Films (soraya.spiers@leopardfilms.com) and she'll provide you with all the information you need. The show does provide a handsome payment for those who participate. Who knows, maybe the bright lights of television await you. I was recently involved in filming with House hunters international and the leopard films company. This episode is set in Central Portugal and our INCI registered Estae Agency, Chavetejo based in Tomar Central Portugal was asked by Leopard films to be involved.